In a country like Canada, there are plenty of opportunities to enjoy a whole gambit of different winter sports. Many have become favorites, and one of these is skiing. In this winter category of sport, there are several variations. For those that want the freedom of being able to do what they want when skiing then they will want to participate in freestyle skiing. It allows the participant to incorporate a variety of turns and tricks and many maneuvers that take place while the skier is in the air. It has become so popular that it now is part of the competitive list of skiing sports. Those participating in this sport on a competitive level will often have their routine choreographed. 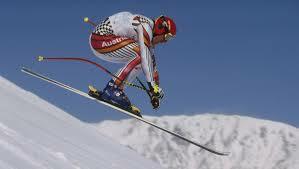 Alpine skiing is also called downhill skiing, and many believe that this is the most popular form of skiing. It too is a competitive sport where speed plays an important role in the success of the competitor, along with style and technique. As if there were not enough forms of skiing to choose from, there is a new type that is about to be introduced to those into the winter sports events. It is called Skizee, which is a motorized form of skiing. It was created in Labrador, and the equipment costs a hefty $4.9K. This raises the question as to just how popular this will become based on the price alone. Many people enjoy skiing but don’t like the lifts or the traditional downhill form of this sport. For them, the alternative is cross country skiing. It has less cost attached to it but it is more physically demanding. For these traditional types of skiing, they are considered to be the most popular for this type of winter sport.